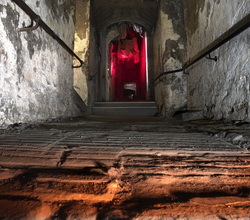 It has been over a hundred years since sunlight last penetrated Mary King’s Close, off Edinburgh’s Royal Mile, but this Halloween, the underground street will seem even darker than usual when The Real Mary Kings Close hosts late-night Dark Truth Tours from 26 – 31 October. We already recommend that visits to the Real Mary King’s Close are unsuitable for children aged under five, as we tell stories of murder most horrid, plague and pestilence, but we have always kept a few details back, thinking that they would just too unsettling for some of our more sensitive visitors. However, for the late-night tours on these five evenings, we’re going to reveal the whole truth – with details that will send a shiver down your spine! Click here for more information – pre-booking strongly recommended! Next PostNext The Real Mary King’s Close To Get Miles Better!